About the Award: The Netherlands Fellowship Programmes (NFP), funded by the Dutch Ministry of Foreign Affairs under the budget for development cooperation, are designed to promote capacity building within organizations in 51 (previously 62) countries by providing training and education to mid-career staff. The overall aim of the NFP is to help alleviate qualitative and quantitative shortages of skilled manpower within a wide range of governmental, private and non-governmental organizations. This is done by offering fellowships to mid-career professionals to improve the capacity of their employing organizations. belong to a priority groups and/or are from a marginalised region as defined by the Dutch embassy in your country. You can find these priorities on the embassy’s website. have been unconditionally admitted by a Dutch institution to one of the Master’s degree programmes or Short courses on the 2016-2017 course list, or have agreed upon a PhD research proposal with the Dutch institution. not already have received an NFP fellowship for a master’s degree programme or a PhD fellowship. 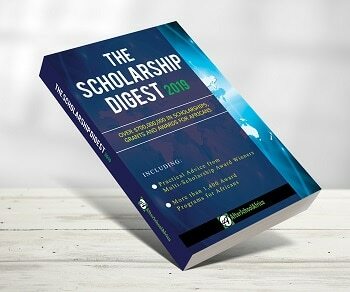 Value of Scholarship: The fellowship is a supplement to the candidate’s salary and a contribution towards the expenses related to the course or study programme. Award Sponsors: The NFP is funded by the Dutch Ministry of Foreign Affairs under the budget for development cooperation.